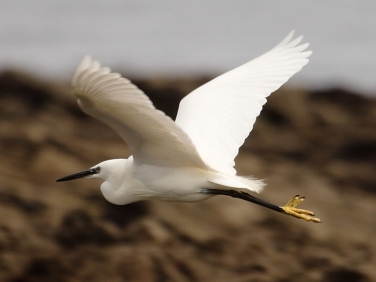 Little Egrets are now more commonly seen than Grey Herons on Falmouth beaches. This one was fishing on Gyllyngvase beach. Successfully, too, judging by the blenny that it spent a full five minutes trying to swallow. 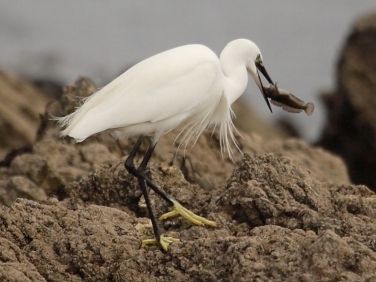 Insight into Little Egret (Egretta garzetta): a small member of the Heron family that have in recent years become established all along the south coast of the UK.